This majestic monument, once known as the Zimbabwe Ruins, is a fortress built from approximately ninety tons of granite. Situated in the heart of Matabeleland, Zimbabwe, this is one of Africa’s greatest riddles and very possibly the oldest ruins in existence. 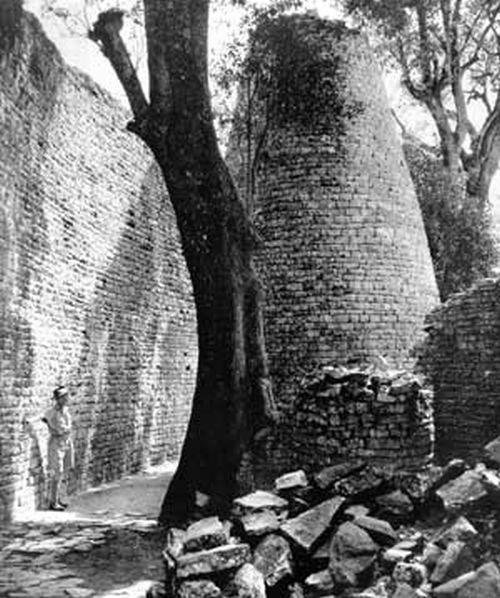 According to information gained from psychic séances that took place in these ruins in the late 1930s, Nubians, who had fled from religious persecution on the shores of the Mediterranean built these structures. These ancient and primitive people wore little more than a loincloth and sandals. The Great Enclosure with its Phallic Tower and ancient stone slab Alter of Sacrifice has been witness to unspeakable atrocities that were both religious and demonic in nature. It is claimed that the remains of the warriors of these ancient people still exist and that one day when the ravages of the elements have had their way, the opening of concealed caves will reveal and release their secrets to the world. 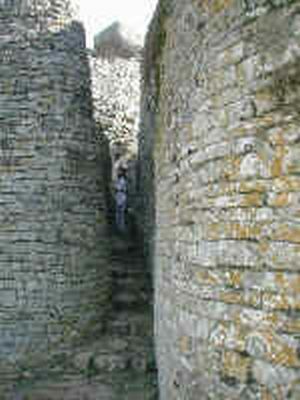 Caves and subterranean passages have been discovered in the outer vicinity of these great stone structures. An eerie feeling, the presence of those who perished within these granite structures thousands of years ago, still pervades the atmosphere in these enclosures. It is claimed that these earth-bound spirits had not yet attained the mentality and development of reasonable thinking people. Within these walls exist forces of very low vibrations that had merged with forces of evil.